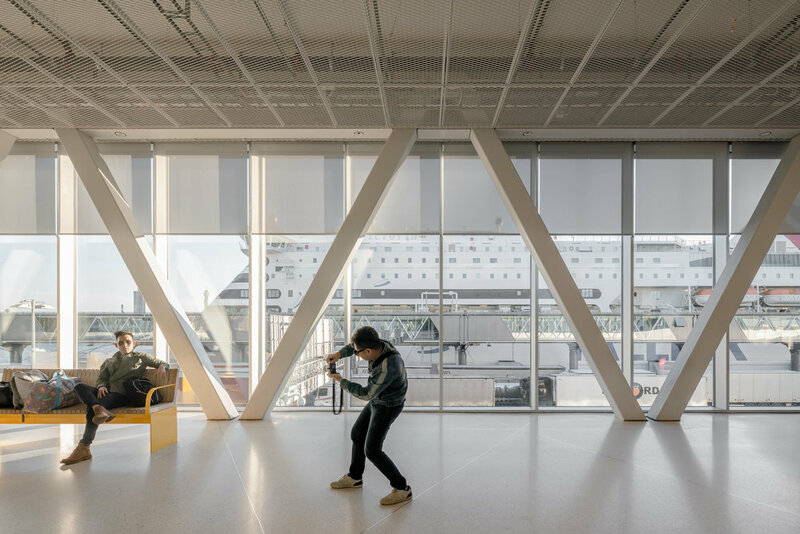 When I was asked by CF Moller Stockholm to photograph the new Ferry Terminal in Stockholm I was super excited. The building had already been photographed in 2018 but C.F. Moller wanted to capture more movement in the building along with more of the details and structural work. The building is only used really when ferries leav and arrive so really yhere is only 3-4 heavily populated hours during each day. What is obvious though is how CF Moller creatively used the movement patterns to enlighten the design. This was a critical element of the shoot.